You can turn that chartreuse crankbait into a red craw crankbait in a pinch with these simple tips. I have used markers to change and accentuate fishing lures for years. We've shared some pieces on coloring your soft plastic fishing lures and modifying swimbait colors before. 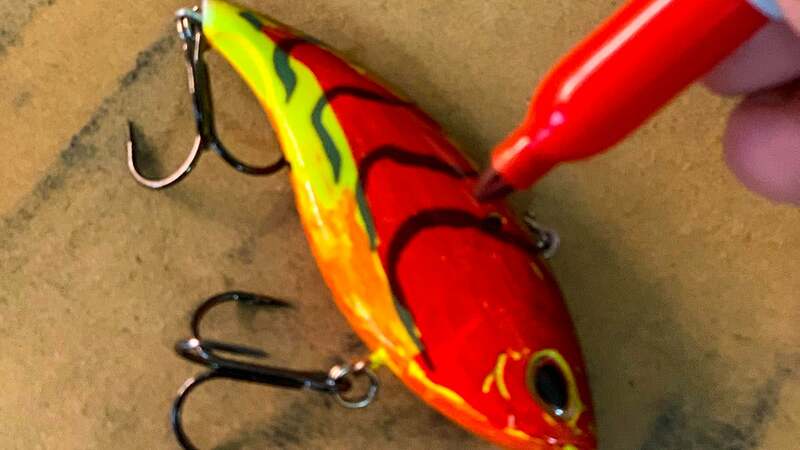 But here is a quick tip on changing crankbait color on the fly when you might not have another in the boat. 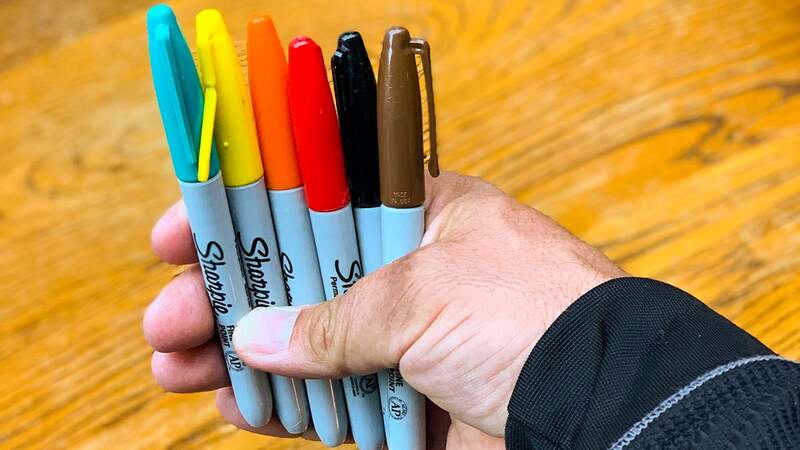 You can buy Sharpie Marker packs for like $6. 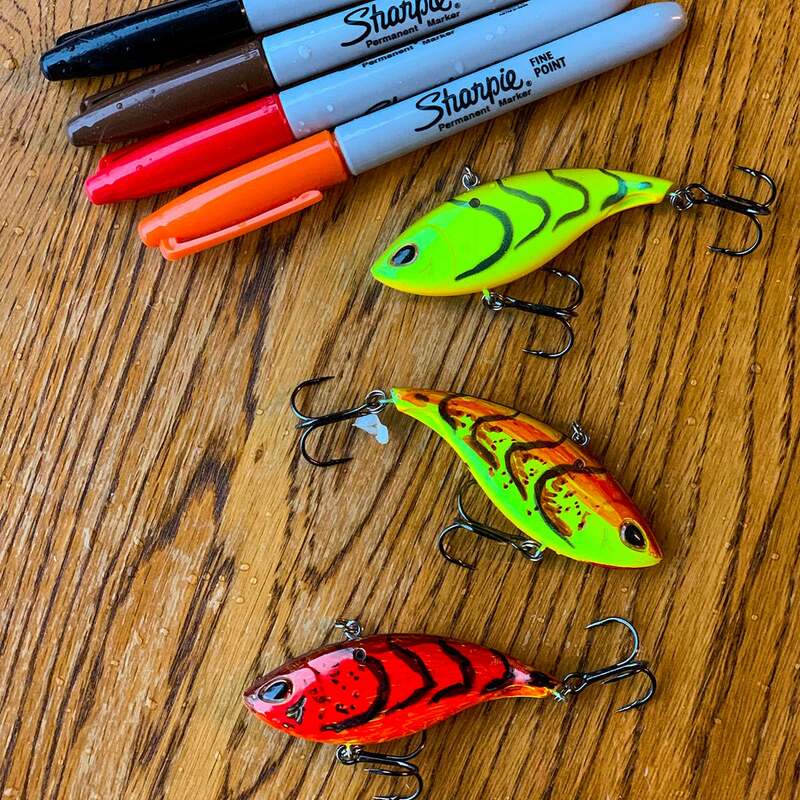 And with just a few colored markers you can completely change the colorway of a lure to something unique and better suited to the water or forage you might be trying to mimic. 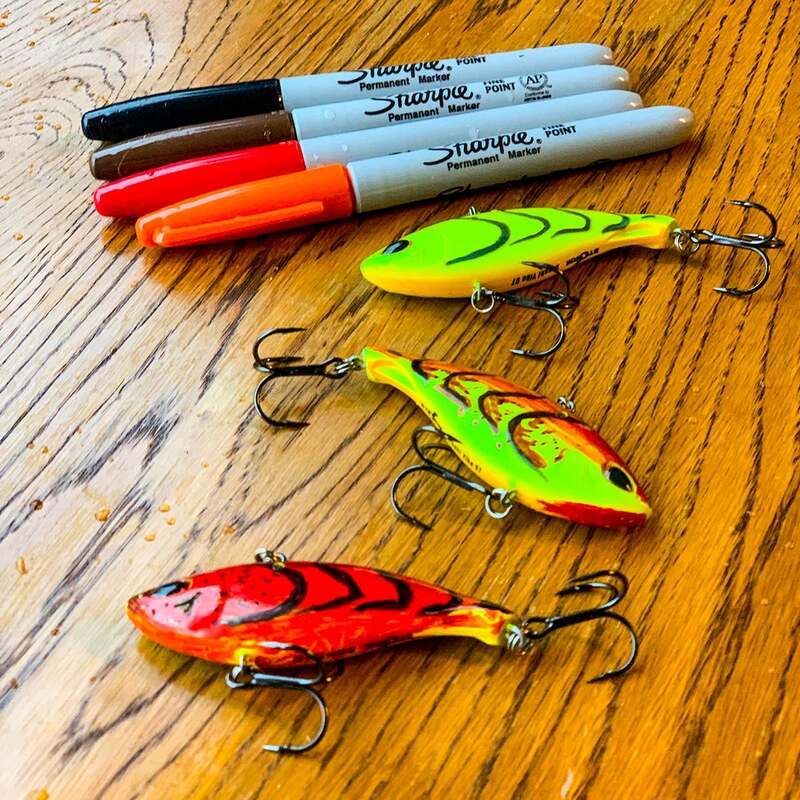 I generally have blue, green, yellow, orange, red, brown and black markers around to change up lures. I think yellow, orange, brown and black can make some amazing craw patterns while your blue, purple and greens often can mimic accents on baitfish. 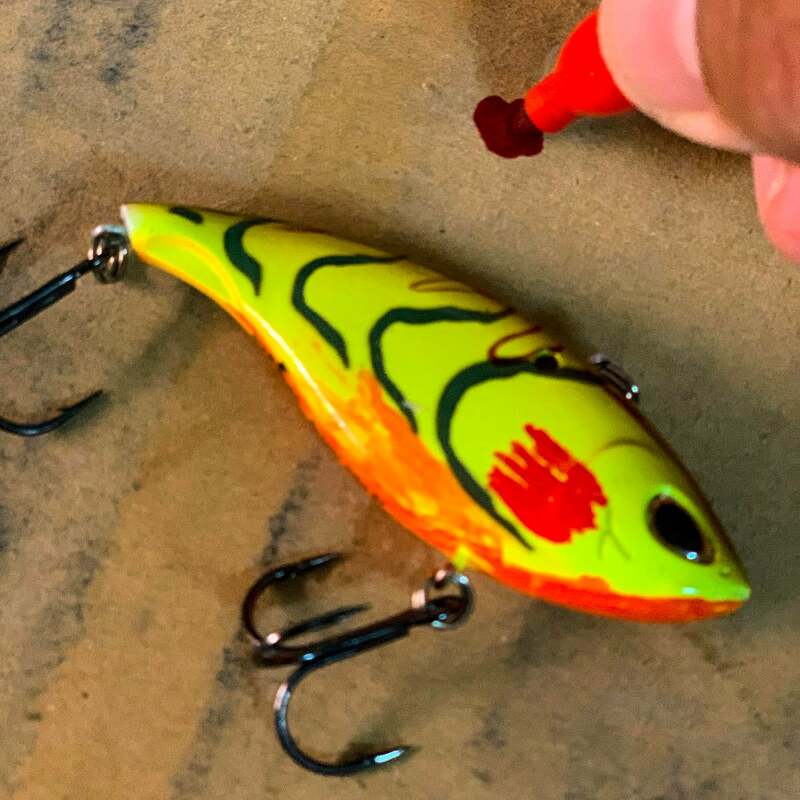 Ott Defoe shared how he turned an orange lipless Arashi Vibe crankbait into more of a red craw pattern during the 2019 Bassmaster Classic in a recent video. A trick that helped him win the event. Check Ott out discussing this very topic here. All he did was take a Sharpie marker and add a bunch more red to the bait on the fly. But I've turned white crankbaits into chartreuse crankbaits. I've turned chartreuse crankbaits into red crankbaits and more. You can do a lot more without being a master lure painter to get you through in a pinch. Make sure the bait is dry. Water makes it much harder for the marker to adhere to the surface. You might also experiment with sanding the bait a bit to take some of the gloss off of it. For this example, I just markered up a few Arashi Vibe lipless baits right out of the package. Sometimes the marker might stop painting on the bait. I think the tips dry up or water gets in them. I will take and color over a spot on a piece of cardboard that I usually have under the baits so I don't mark up a table or boat carpet. 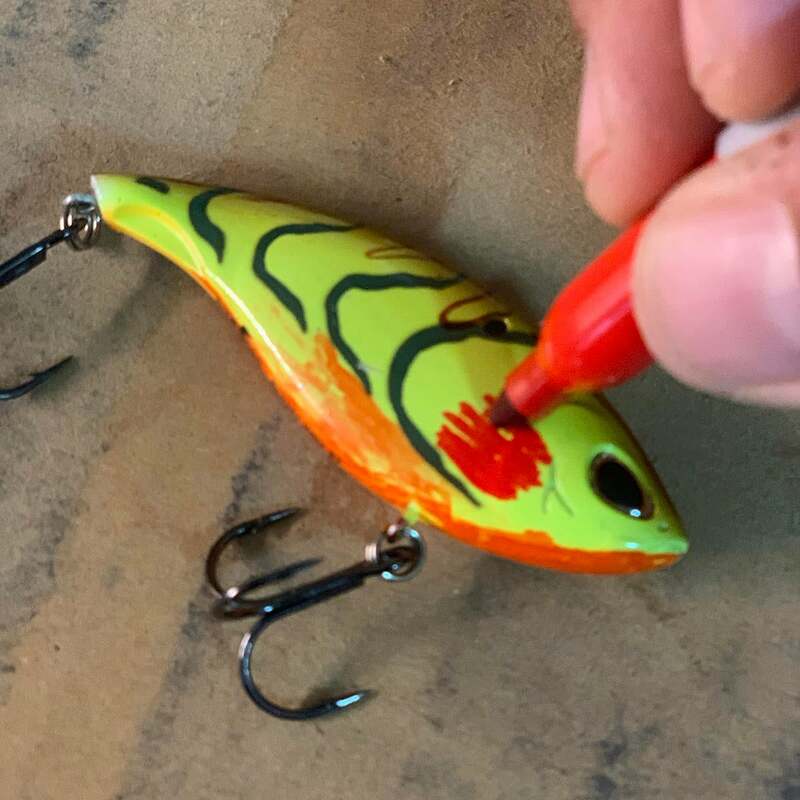 That will usually get the ink flowing in the tip of the marker again so that you can continue to paint the bait. I hardly ever just use one marker. I will add red and orange to the sides and belly, then maybe black on the back and add black lines on the bait too. I sometimes like to leave a little spot of the original bait showing because a lot of things in nature have contrasty tails or tips of pinchers. Sometimes I will just add to the markings on a bait. Add a little more red to the gills. 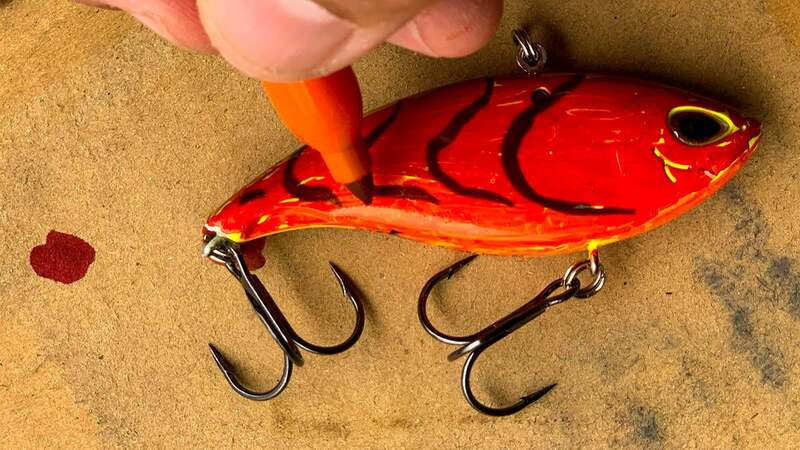 Make brown next to a black or in between other colors like orange between a brown and red to make more natural transitions on a fishing lure. You don't have to be perfect. I will sometimes leave specs and spots or add back lines and spots because most things I see in nature have imperfections. I think that actually is something that fish trigger on at times. Have a lure in your box that has the paint chewed off it? Is it always the one you reach for first? I figure the bass are the same way. Pick out the one that looks different. I am not artistic. My stick figures are laughable. But I think with a few markers you can make an ordinary bait unique. And if I run out of a color like a red craw lipless crankbait (happened recently), I can make one real quick on the fly from another bait. I can also try to mimic some of my favorite patterns on other baits. While it won't be as pretty as some custom painted baits, remember a bass reacts to color and contrast through the flicker effect. So it's getting just glimpses of things and making impulse judgements based off of those. For $6, you can make some pretty special lures. Classic winning lures, even.